The M80SH is a shortened body version of the popular M80 model. The shorter body and built-in mic clip allows for easier placement around a tight drum kit. The mic has a fixed Cardioid polar pattern. 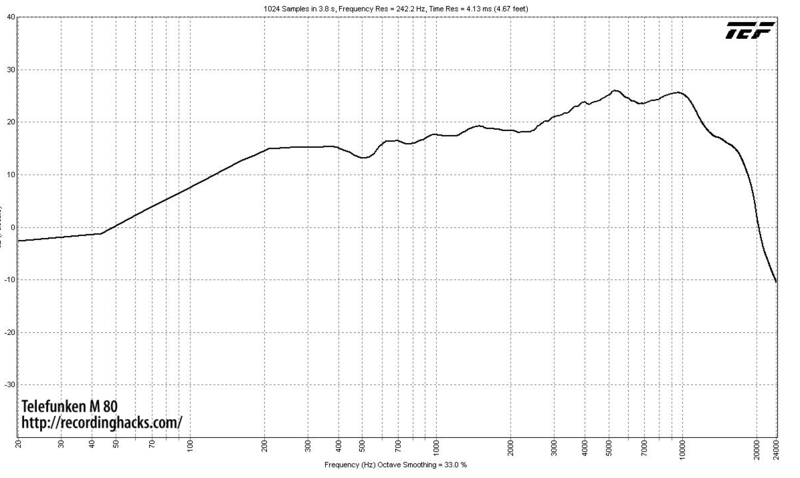 Its frequency response is somewhat flat from 200Hz–2000Hz, with a broad presence peak (+8dB) from 2500Hz–13kHz. Response below 200H; and above 13kHz falls off sharply. The M80-SH ships with Chrome and Black head grills, leather bag and five meter SGMC-5 right-angle XLR cable. The Telefunken Elektroakustik Ela M 80 SH is also known as: M80SH, M80 SH.